Nearly a decade ago, Pixar brought us a story about an anxious clownfish who embarks on a life-altering adventure through the ocean, desperate to find his son, who was snatched up by a fish-collecting dentist. 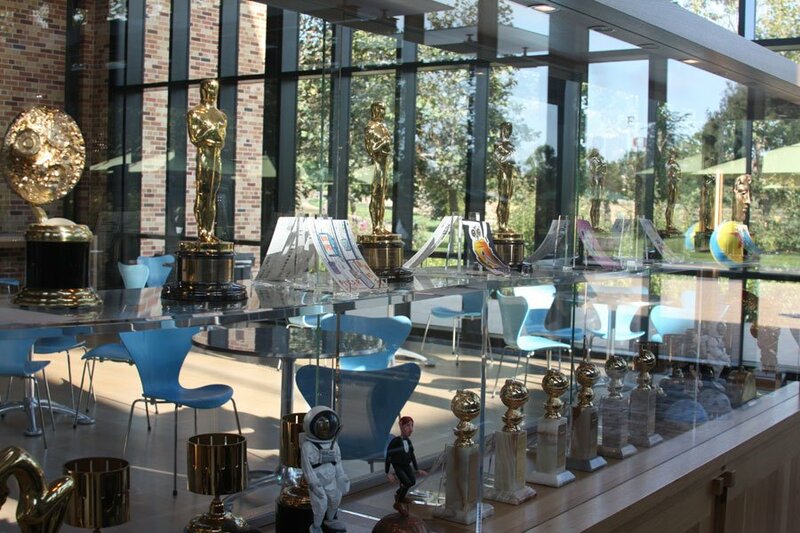 Last month, I had the opportunity to visit Pixar Studios to screen the film ahead of this week's 3D release. 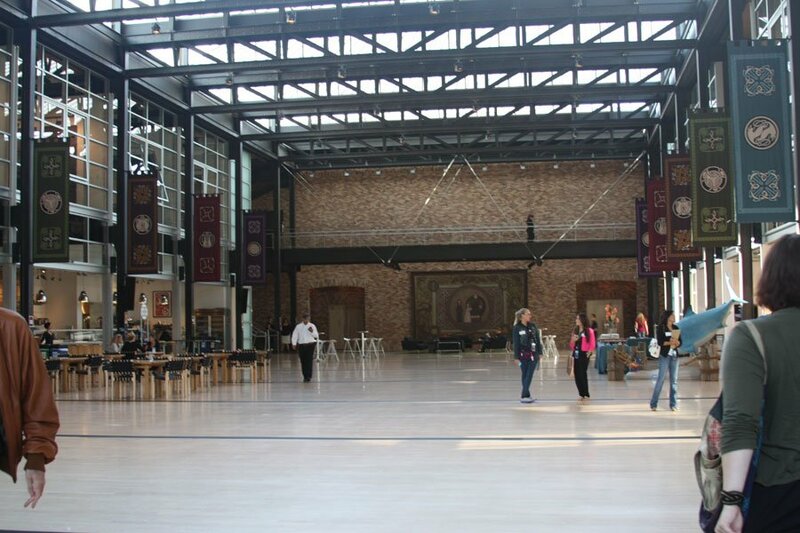 Not only was it a dream come true to get to visit Pixar Studios, but going there to see one of my favorite Pixar movies was a treat, to say the least. And Finding Nemo 3D did not disappoint. It helped that I hadn't seen the movie in a while, but seeing it again on the big screen, added to the 3D upgrade made the movie feel almost new again. 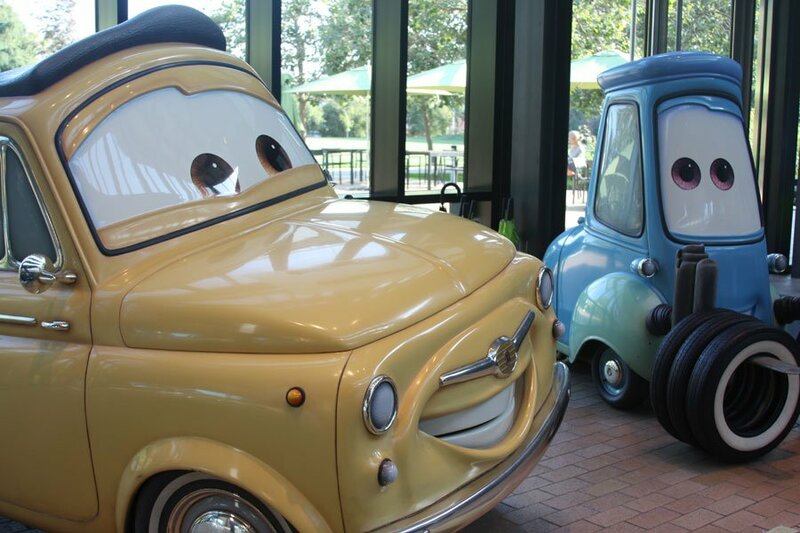 From the sound of it, Pixar put a lot of work into the movie's 3D upgrade, and it shows in the finished product. 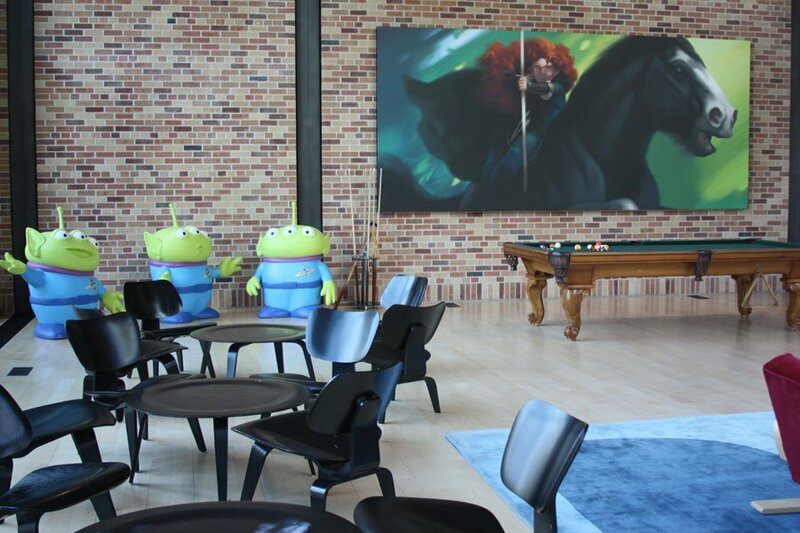 As I mentioned when discussing the Partysaurus Rex screening, the Pixar Studios lobby is decorated with various statues and artwork, paying tribute to Pixar films. This includes a really cool Brave tapestry, and a 3D display featuring Dory and Marlin swimming face-to-face with Bruce the shark. 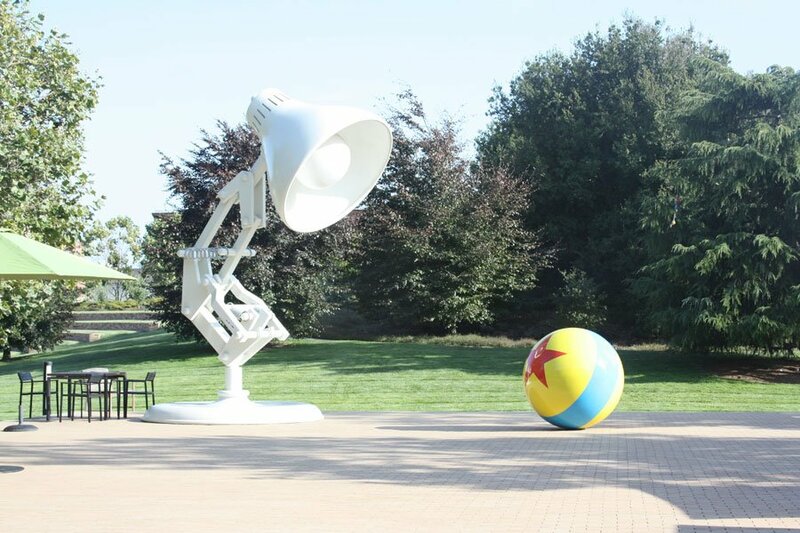 Just outside of the building are statues of well known Pixar icons Luxo Jr. and his ball. 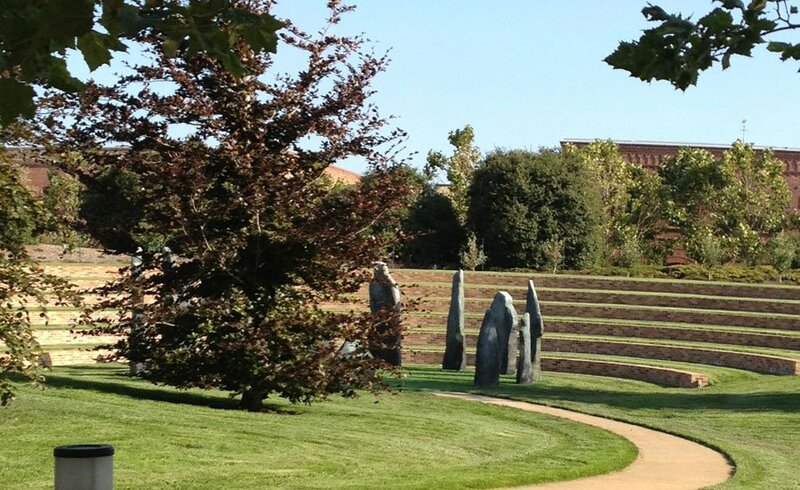 It also looks like they set up a big stone arrangement, similar to the one featured in Brave in the grassy area. You can check out some photos in the gallery below. 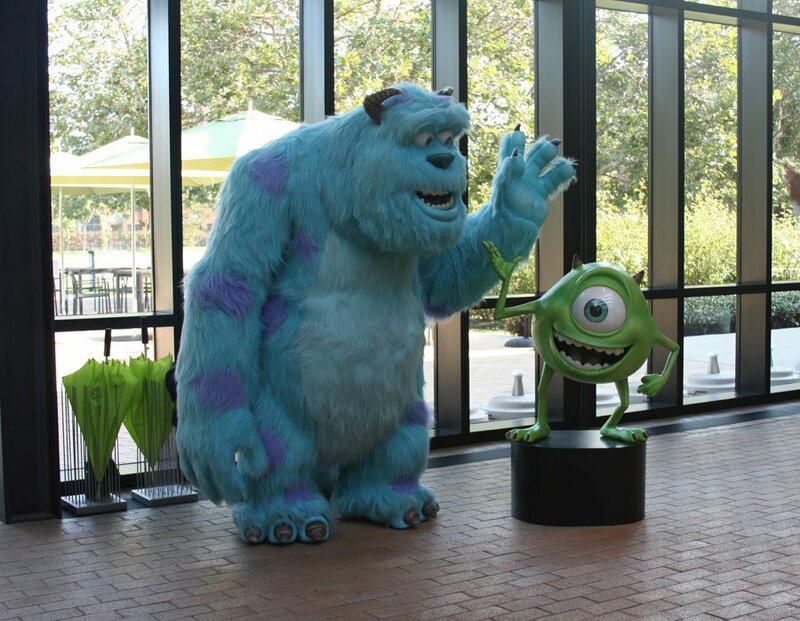 The trip to Pixar Studios included a screening of Partysaurus Rex, an interesting lesson on how 3D technology is being used to upgrade older Pixar movies, some dinner (a tasty buffet and cupcakes for dessert! ), and finally, the screening of Finding Nemo in 3D. The in-house theater is pretty roomy, with red chairs and a dark ceiling that lights up with twinkling (and shooting) stars when the rest of the lights go out. Once I was able to get over my excitement at getting to see Finding Nemo on the big screen at Pixar Studios, I focused on the movie itself. With its vibrant colors and beautiful ocean setting, Finding Nemo is a film that benefits well from a 3D conversion. The colors and textures seemed especially enhanced, offering a really great visual experience in addition to a fantastic story. As an adventure story and a tale of friendship, family and bravery, Nemo holds up really well. It's still as funny and heartfelt as it ever was. I'd definitely recommend fans of the film (especially those who haven't had the opportunity to see it on the big screen) check it out. 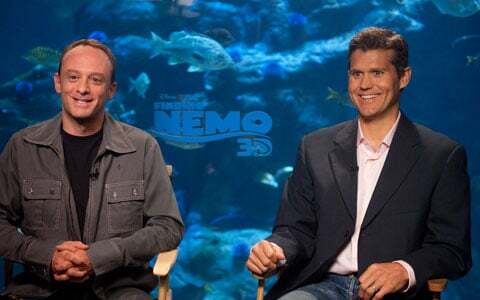 The next day, we visited the Aquarium Wing of the Academy of Sciences to speak with co-director Lee Unkrich, Stereoscopic Supervisor Bob Whitehill and Director of 3D Production Josh Hollander to talk about revisiting the movie and its 3D makeover. 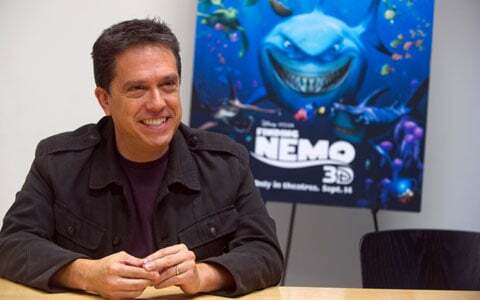 Unkrich sounded very pleased with what Bob Whitehill and his team did with Finding Nemo, in 3D. They're really good at creating these really visually dynamic, immersive 3D experiences, but without distracting from the story-telling at all. For these - we don't really call them conversions - these 3D versions of the film, as well as the new films that we make, that we put out in 3D - we love 3D but we never want the 3D to distract in any way from people's experience. We don't want to have a bunch of gimmickry and stuff flying out of the screen. It's just not our core philosophy about how to us 3D. The whole process of converting 2D to 3D is getting better - getting more sophisticated, but at the end of the day, it can't be replaced by actually shooting in 3D in the first place. And that's where we're lucky in our world - in this world of CG animation - that it's like we're able to get into a time machine and go back and reshoot the movie. It's the same movie. The movie hasn't changed in any way, but it's like we're able to go back in time on the set and shoot the movie with a 3D camera instead of a 2D camera. So everything that you see, every bit of dimensionality is all true 3D. When we make our movies, we construct virtual sets. Everything is virtual, it's in a computer but it's a set. And there are objects and characters in space, and if you're now filming it with a 3D camera, you're getting a true dimensional experience. And it's just never the same with the conversions, I think. One of the things that works really well for Finding Nemo is that there numerous scenes that seem built to look beautiful in 3D. 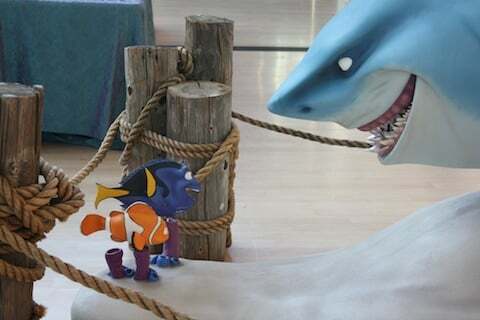 Unkrich said one of his favorite scenes to see in 3D was when Marlin is taking Nemo to his first day of school. It's one of numerous scenes that really benefits from the 3D upgrade, and that's as much a testament to the work put into the 3D version of the film as it is the original movie. 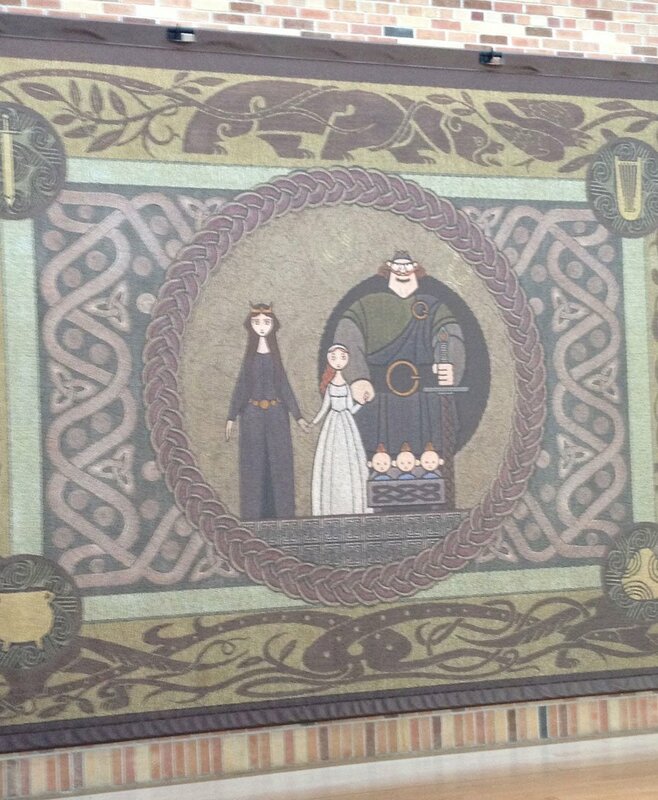 Unkrich told us his instincts have always been with staging and depth. My philosophy has always been - my instincts have to do with staging and depth anyway. Even if I'm just making a 2D film, I'm always trying to make use of depth in the frame. So, as a result, when we do these 3D versions of the films - at least that I was involved with - I find that it almost feels like they were designed to be in 3D in the first place, because I just naturally make use of depth so much. When we go into 3D it's just there. It's kind of there from the get-go. I made Toy Story 3 knowing that that was going to be released in 3D, but I very rarely made any choices specifically for the 3D. I've seen movies in 2D that were shot in 3D where there are moments because I feel like a second class citizen because I'm not watching it in 3D. Like I see things that I think, "Oh well, clearly they're doing that, or they shot that in that way because it would look cool in 3D. And here I am thinking about it and feeling like I'm missing out somehow." I don't like that feeling as a movie-goer. So, I think it's a challenge but it's more interesting, I think, to try to create a movie that works just as well no matter how you're seeing it. And people who are into 3D movies can have a great time seeing that 3D version, but if somebody doesn't want to see it in 3D or they're seeing it at home and they can't see it in 3D, that it holds up just as well and it doesn't feel like it's compromised in any way because it's not in 3D. As for the story, the focus on an overprotective parent trying to get to his son and also learning how to let go is as relevant today as it was nine years ago, and it'll probably be just as relevant a decade from now. "Every parent is afraid of letting their kid go out into the big dangerous world," Unkrich said. "And every kid wants to go out into the big dangerous world. I think that's why it affected so many people, is that it was about such fundamental truths about our experiences as parents and kids." And it seems like the success of Nemo emboldened the people at Pixar to take a more emotional approach with their stories. "It gave us confidence to be more emotional and attack deeper things," Unkrich said. "I guess if Nemo had tanked, maybe we wouldn't have been so bold with some of the other choices we made." Use of the word "tank" in this context got a laugh from all of us at the table. Fish puns! I can't think of anything in Nemo that I would change, story wise, at this point. But even if there was something, we wouldn't do it. We're very strong believers in - the films that we make are films that we made in a particular point in our lives. We did the best we could to make them, and we sent them out into the world. And we don't want to keep revisiting them. George Lucas obviously likes to continue to tinker with his movies, but other people don't. It was interesting for me with Spielberg. Spielberg redid all the E.T. shots in CG, but then he later said he regretted it. And now all subsequent releases of the movie are going back to the original. I think there's a temptation there because sometimes you dream big, and you have an idea of what you want to get up there on the screen, but the tools kind of hold you back. And I think in George's case, he just wants to create the movies he always had in his head. In our case, you know, you look at our earlier films, they are crude at times, but it was the best we could do at that time, and we just feel like it's important to remain as they were. We also got on the subject of Dory. 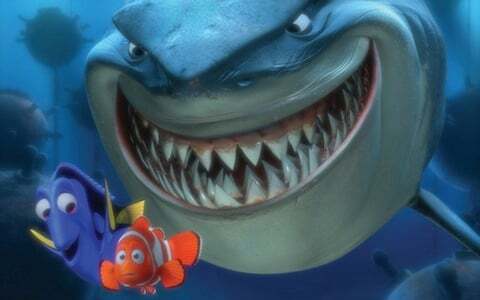 The primary focus of Finding Nemo's story is on Marlin getting to Nemo, but Dory is a big part of the humor in the film. Unkrich said it was clear from the beginning when they first started working with Ellen Degeneres that Dory was a really funny character and there was a lot of heart in her. But one of the greatest things about Dory as a character is that she's this sort of light-and-funny figure in an otherwise emotionally heavy movie, and then we get to the end, and she brings this great emotional moment in the film. "In my mind, that's when someone is firing on all cylinders in a movie," Unkrich said. "If you can take a character that the audience has been laughing at and then have you feel for them. When does that happen? That's great. That's like gold." I think it speaks to the effectiveness of 3D, because that's the same shading, same lighting as the original. But when you're seeing that dimensionality of it, you're seeing the pockets on the tongue, or the scales on the fish's body. In 3D space, I think that those sort of aspects just stand out more, have a little more life to them. I think when we're talking about texture, we're also talking about very fine detail, and so maybe the higher resolution is also being effective there. We've rendered that many more pixels jammed into that same size space, and so you're going to have more fine lines on all of that texture. It's a credit of the original makers of the film for doing such a good job, and then it's a credit to the technology of 3D and resolution, why it stands out more now. Both Whitehill and Director of 3D Production Josh Hollander were in agreement that they wanted to honor the look of the original film. A balance had to be struck between creating the kind of 3D effects people would be looking for without drastically changing the movie or somehow detracting from the original film. "We really just want to stay true and honor those original films, and honor the vision of the original film," Hollander said. "Bob often says that 3D can mirror a story arc the same way score does. Similarly with the other technology - the shading, the textures, etc. - we feel like we want to honor that original and just do it justice, make a 3D film that's worthy of its original version." And not detract from it where your'e thinking about the 3D too much. I know that there's some in the audience that may want that. They've paid a premium and they may want it to be more aggressive, but I think we found a healthy medium where it should feel dimensional, and every shot should feel different to you as you're watching it. We haven't gone so subtle that only the most sensitive eyes can feel it, but at the same time we haven't pushed it - I hope - past the limit where it's becoming a detriment. Finding Nemo isn't the first Pixar film to receive a 3D makeover, nor will it be the last. You have to consider the amount of organization it takes to keep all of the files together, especially when factoring in the number of people working on them. If something is saved in the wrong place, it could be lost forever (or for a long time, anyway). Once technology advances, the films coming out in recent years may be revisited ten years from now. Whitehill spoke about the steps being taken today to make sure the files are properly stored and upgraded in anticipation of future projects. We have so many bright systems people and constructors of this file system that is so elaborate and has so many different pieces pulling together that there's just tremendous thought put into proper file storage and archiving. We have these different versions of the software that will be released twice monthly - these global trees updates. There's a tremendous amount of thought. 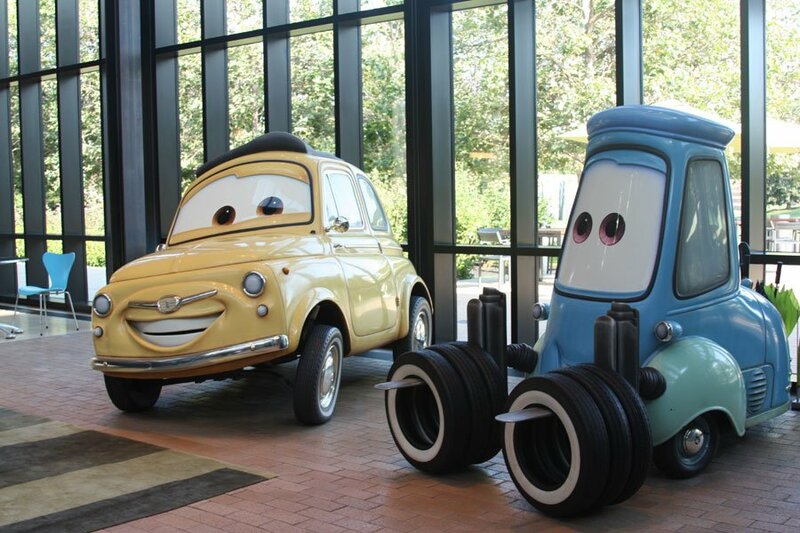 They're sort of among many unsung heroes at a company like Pixar. A lot of different people get credit for our movies, but these IT and systems professionals who are archiving and masterminding a plan to carry all this data forward in a way that's accessible. They really do a tremendous job. We've learned a lot as a studio, just about how to store things, how to cycle them forward. When you're in the heat of production and you have a hundred technical artists working on something, and they're all saving it to the right place, every now and then something gets placed locally, that doesn't placed back on the global storage. And so what we're doing is, we're finding holes, we're finding errors, we're finding things missing. 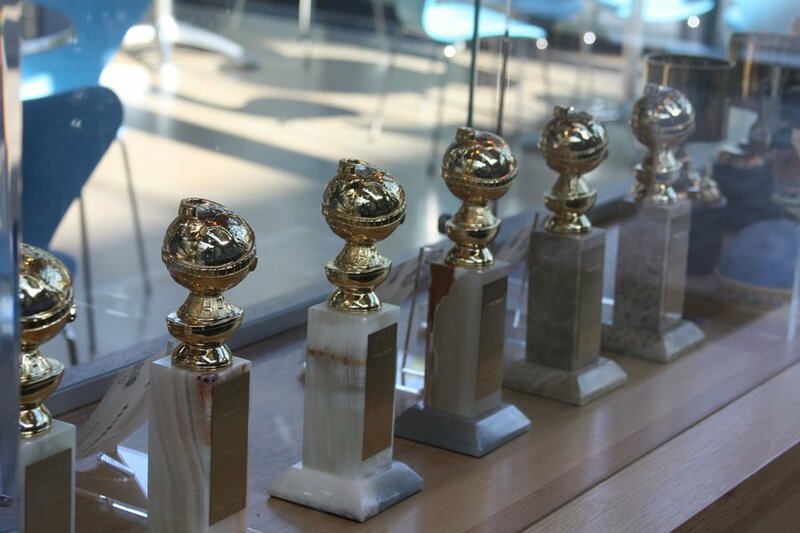 As we find those things, we're making sure they get saved back into that global location. So, theoretically it will be easier next time around. Theoretically. But again, the time spent and efforts taken will be well worth it in the long run. 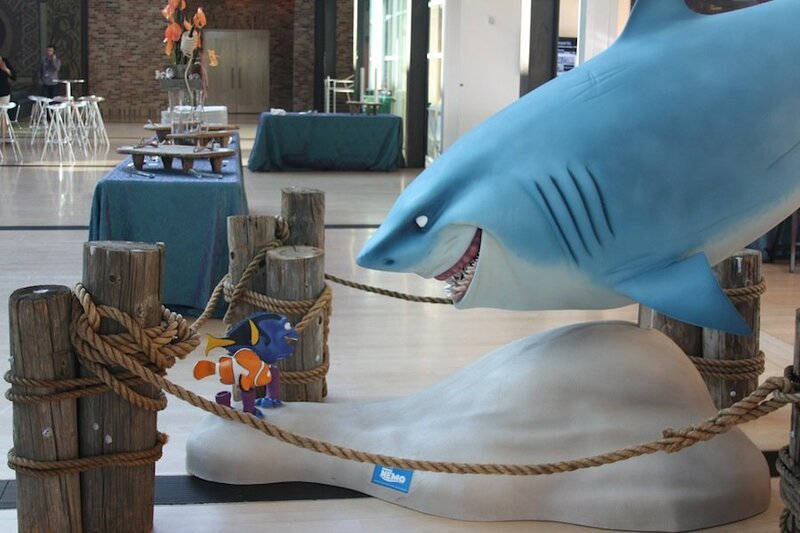 The effort put into Finding Nemo's 3D make-over shows in the finished product. Pixar has succeeded in taking a beloved movie to the next level by making it an even better visual experience for fans and newcomers to enjoy in theaters.